A must have prom gown in your wardrobe. 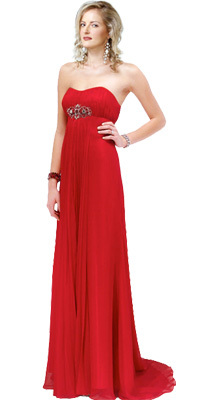 It features a strapless pattern followed by the fascinating sweetheart neckline. It also showcases a floor sweeping long skirt with a train at the back giving the wearer a royal appeal. The broach the center of the bust is an eye catchy feature.